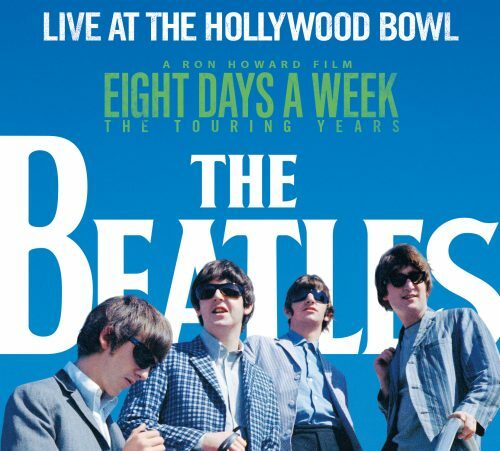 Fast forward another decade or so to the big ones: Concerts by The Beatles on August 23, 1964 and August 29-30, 1965, which were recorded and came out on vinyl LP in 1977 as The Beatles Live at the Hollywood Bowl (which was significantly upgraded with its 2016 reissue). Those are hardly the only significant classic rock events at the historic outdoor venue nestled into a hillside at the nexus of the L.A. basin and valley. On July 5, 1968, The Doors gave what many feel was one of their best concerts ever. Filmed and recorded for posterity, it came out in 2012 as Live at the Bowl ’68. Over the years, it has hosted concerts by Ella Fitzgerald, the Beach Boys, Bob Dylan, the Rolling Stones, Simon & Garfunkel, and countless others. It is also where on July 1, 2002, The Who played their first show after the death of John Entwistle on June 27, a day before the band were to begin a U.S. tour. Pino Palladino was recruited to replace The Ox for the tour and remained with The Who’s touring band. The last two Genesis concerts ever were at the Bowl on October 12 and 13, 2007, at the end of their Turn It On Again tour. Despite occasional rumors that the band would reunite (with both Phil Collins and Peter Gabriel), the shows stand as the band’s final shows. The venue also marked the final performance of Tom Petty & the Heartbreakers, who completed their 40th anniversary on September 25, 2017. Among the acts performing at the Bowl in 2018 are Michael McDonald and Kenny Loggins, Randy Newman, and Ozzy Osbourne.